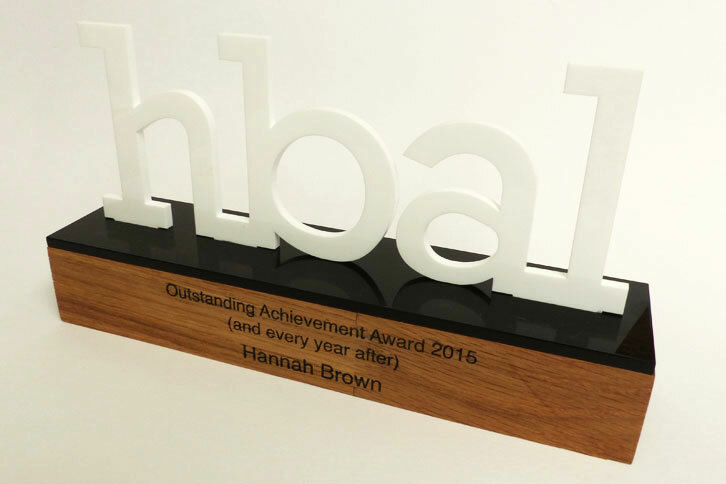 Bespoke laser cut acrylic and wood awards for hbal. 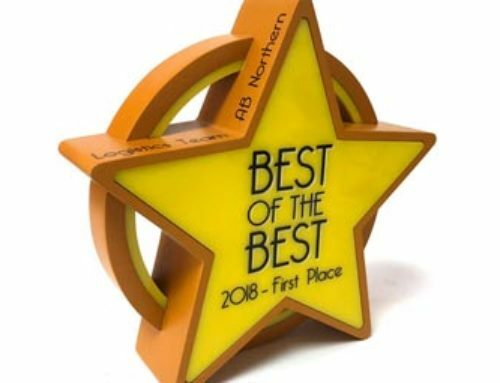 The awards are made from gloss white and black acrylic on a solid oak plinth. We engraved the text on the timber base. The juxtaposition between the timber and acrylic gives a really smart, quality finish.